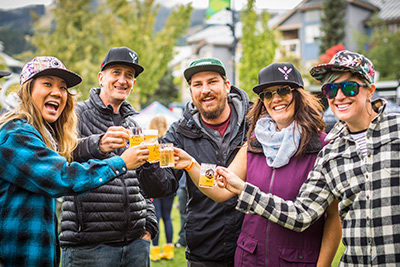 Whistler offers a non-stop lineup of events through every season, but these are the classics that come back annually and truly showcase Whistler's culture. For more entertainment month by month, visit the Events Calendar or see what's on in Whistler this week. 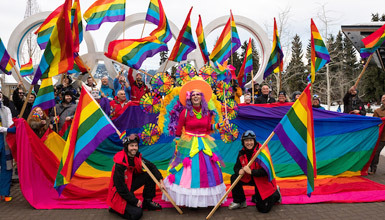 One of the biggest and best gay and lesbian ski weeks in North America, a week of non-stop activities and events on and off the slopes. Be trackside to check out top bobsleigh and skeleton athletes as they reach speeds of up to 150 km/hour at the world-renowned Whistler Sliding Centre. 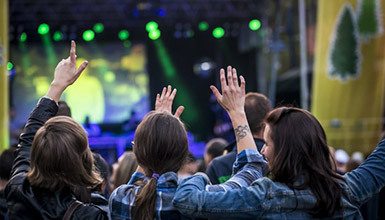 A festival celebrating our unique mountain culture full of snowsports, outdoor concerts and non-stop nightlife. 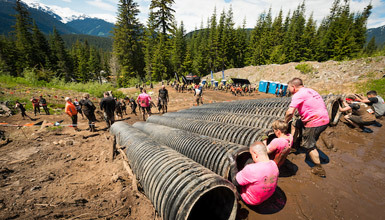 Test your mental and physical strength on three unique obstacle courses throughout beautifully steep and rocky Whistler Olympic Park. 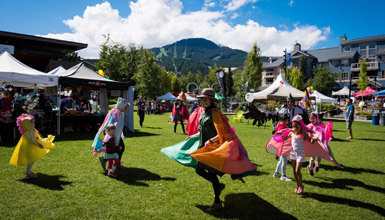 Kids can enjoy hands-on art workshops, crafts, theatre, multi-media, dance, music and magical performances at Whistler Olympic Plaza. 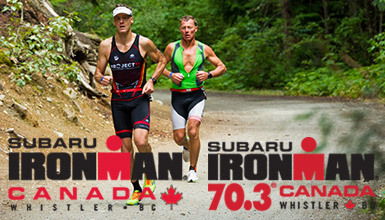 Two epic triathlons held over the same terrain on the same day. Participate or spectate, this is a journey you'll never forget. More than Yoga, Wanderlust is a celebration of wellness and spirituality including entertainment, speakers, nutrition and art. 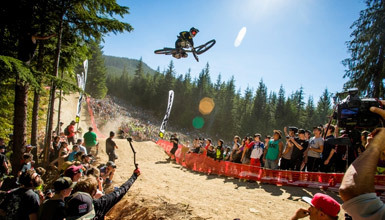 The best riders, most hard-core fans and a week of gravity defying, awe inspiring competitions coupled with incredible celebrations. 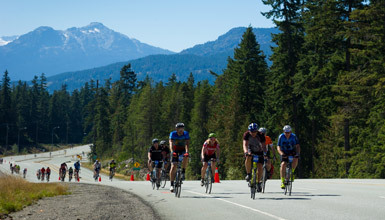 Road cyclists of all abilities are able to enjoy the stunning scenery of the Sea to Sky Highway as they pedal their way 122km from Vancouver to Whistler. Six days of all things beer. Enjoy seminars about beer brewing, dinner pairings, competitive events, after parties and, of course, beer sampling. 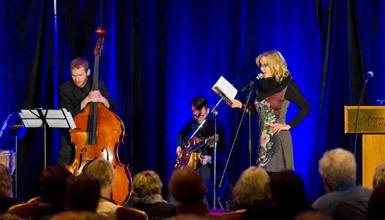 An annual fall event celebrating the written word where you can meet renowned authors, listen to lively speakers panels and attend workshops. 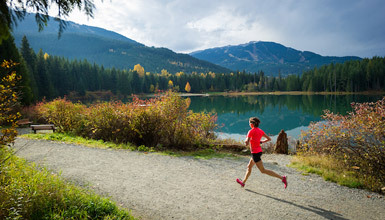 This annual fall event in Whistler is a 50-mile race open to Relay Teams of 8, 4, or 2 members as well as solo Ultra-Marathoners. 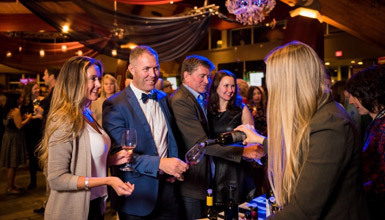 Indulge your palate and enrich your mind with a celebration of food, drink and living well including culinary events, seminars, tasting and more. 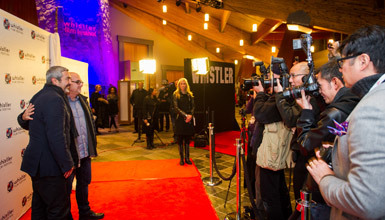 Experience fresh films, special guests, industry connections, epic events and time to play at 'Canada's coolest film fest'.